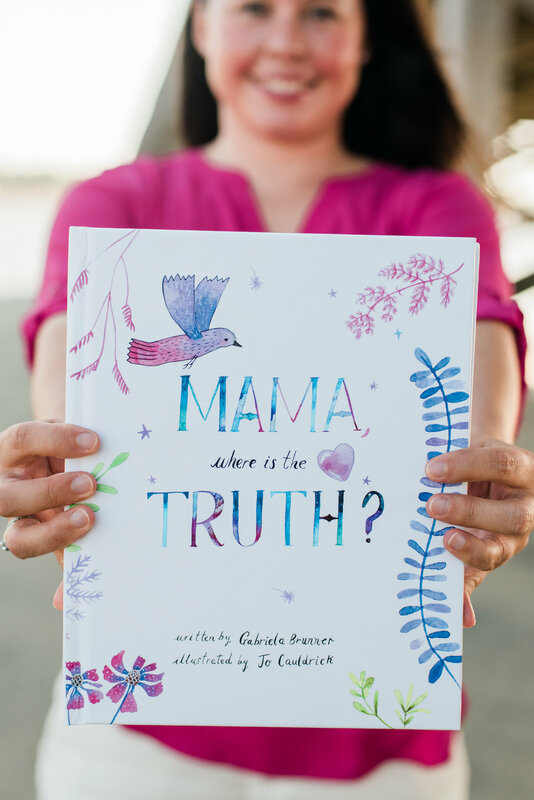 "Mama, Where Is The Truth?" Decatur, IL: go to the Art Farm in Downtown and pick up your limited edition, signed copy! Facebook: Head over to Facebook and “like” the Mama Where Is the Truth? page. Sharing: Share this page with everyone you know! Support Jo: Check out Jo’s Instagram page and show your support by following her and purchasing her products. Well Wishes: Send me love and support as I continue to savor this beautiful creation process! Picture it. Summer. 2016. I woke up one morning with a beautiful idea in my head. I wrote it all down in about fifteen minutes. The next thing I knew, I had written a children’s story. I almost couldn’t believe it, and yet, there it was. I’ve been chronicling about my experience and I invite you to read about it here. It felt surreal. I’ve dreamt about writing a book, a series of books even, yet it never materialized. And then, much like things tend to do when they are incredibly aligned, it happened. For almost two years, those words sat there, waiting for the right soul to bring them to life. Through a series of events, I found my illustrator and the woman who is lovingly breathing life into each one of my words. Jo Cauldrick. She lives in England and has one of the most creative spirits I’ve ever encountered. I wrote about how we met in this blog post. When I view each one of her illustrations for the book, I take a moment to simply say ‘thank you’. Thank you to each and every experience that led me to find her because I now see that she was always the one who was meant to bring my words to life. Without Jo’s beautiful gifts, this book would still be a Word document sitting on my desktop. I deeply see that it takes a village in order to bring one’s dreams and creations to life. thank you for helping me bring my book to life! When I envisioned this book coming to life, I envisioned it surrounded by the love and support of a beautiful community, with people like you supporting it in a variety of ways. I am incredibly humbled and grateful to share that 54 Benefactors have contributed to this dream!! Together, we raised $1300.00!! This completely covers the costs of the illustrations AND partially pays for the ISBN numbers. Woweee! In addition to these Benefactors, countless other souls have liked, shared, and supported my journey. And to each one of you I say THANK YOU from the bottom of my heart! Benefactors of Mama, Where Is the Truth? The book is NOW AVAILABLE TO ORDER! Check out the website to see more images of the book and the place your order today! I’m so deeply grateful for your support, for helping me reach my Phase One milestones, and for cheering me on as we embark on Phase Two! And, I thank you in advance for ordering the book! THANK YOU! Mama, Where Is The Truth?